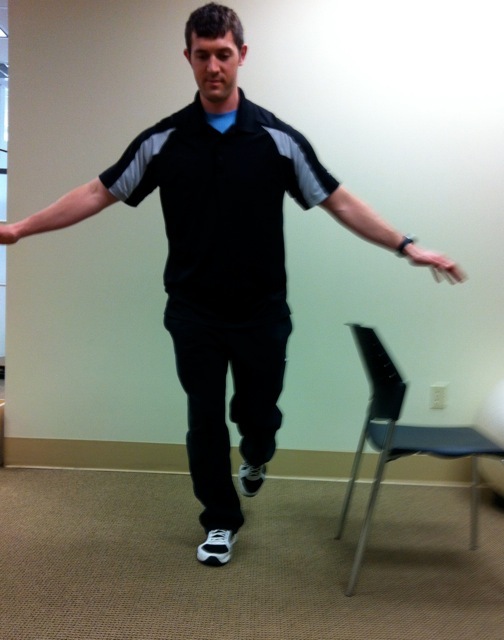 Last week we worked on strengthening the hip standing on two legs, which is very important. However, running is rarely performed with both feet on the ground at the same time so strengthening in a single-leg stance is also important. Stand on one leg in front of a full-length mirror so you can properly monitor your form. 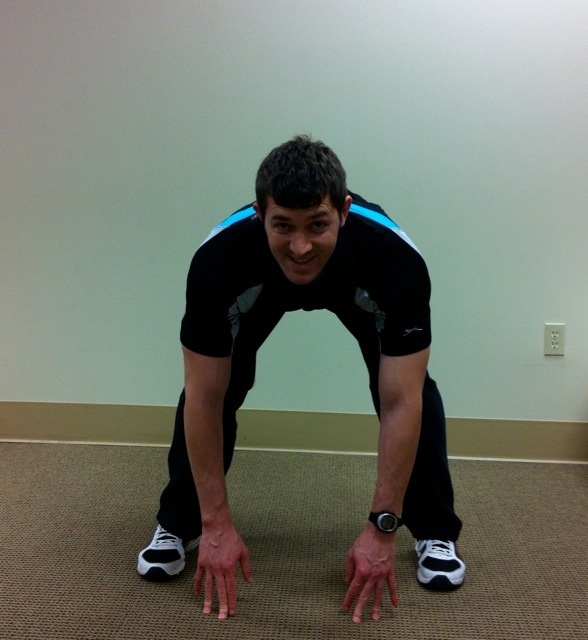 Perform a small squat keeping the hip, knee and second toe all in alignment. Use a chair or counter top initially if needed for support. Perform 10 repetitions for 2 sets each leg. Decrease support and add resistance as you progress. Start in a low squat position with fingertips on the ground and head up. Slide hands on the ground until they are on either side of the right foot. Once you have your weight completely over the right foot lift the left leg out to the side, pausing only momentarily. Repeat going to the other direction. Maintain the squat position until you have completed 5 repetitions each side. What do you think about these exercises? Any that you have found you like to do to target these muscles?